Chef Miguel may have moved on to bigger things, since Ristretto Peruvian restaurant, but he hasn’t forsaken his South American roots. To prove it, he is now the man in charge of the kitchen at The Bee, Publika, and behind a rather sensational Tex-Mex menu, a tribute in part to his Latin American heritage. On the ticket: Cheesy Nachos, Gaucho Burgers, Gourmet Hotdogs, Dark and Creamy Feijoada black beans and House-Smoked BBQ meats on the weekends – it won’t get more Tex-Mex than this. And will picky local gastronomes hankering for some good old fashioned Texan nosh approve? Apparently so because the weekends are already full of patrons there for the BBQ. So, when I got a call from Peruvian Chef Miguel asking me to come to The Bee, I was only too happy to accommodate. How cool, I thought. I could not wait to try his cooking in a different environment and style. Labelled as, more Tex than Mex (i.e. a bigger American influence than Mexican) the menu is pretty extensive. That being so, apparently this new menu has already been streamlined, to encompass Salads, Sandwiches, Burgers, Hot Dogs (they’ve done away with Pastas) and also an easy breakfast menu of eggs, pancakes and french toast. The latest addition to the menu would be the BBQ Sunday’s on the Weekend. The drinks menu is pretty exciting with tons of cocktails and even alcoholic milkshakes to choose from. We were pretty excited to get started! Burgers even till now, are still treated as sirloin’s poor relation at most upscale restaurants. Burgers and steaks are members of the same family, but burgers are the crazy uncle, rarely invited to sit at the dinner table with the adult entrees. But changing tastes and a suddenly changed economy are making burgers more welcome on more trendy restaurant menus. Take for example Daniel Boulud who changed chefs’ minds when he added the insanely decadent db Burger (sirloin stuffed with short rib and foie gras) to his db Bistros all over the world. Anyway, now a days many chefs no longer turn up their nose at the challenge of giving a burger a signature style and flavor. 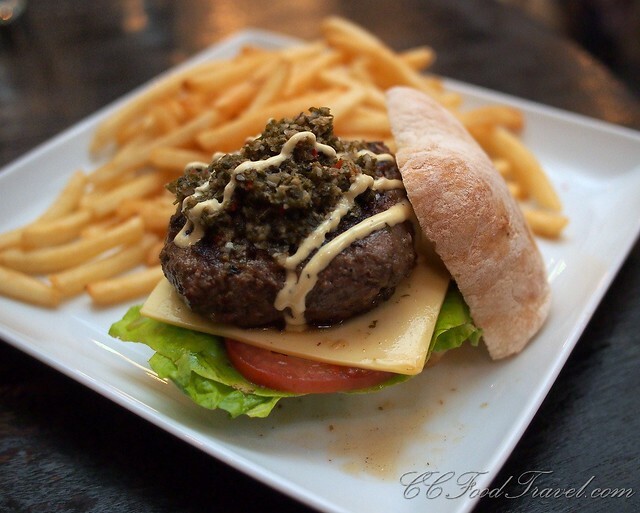 And here at The Bee, the Gaucho burger is certainly one with it’s own distinctive style. A thoroughly medium rare patty (it’s only served this way, and if you don’t like it red, you need to tell the kitchen, not the other way around) topped with smoky mince meat, caramelized onions and special South American flavoured gaucho sauce, that will knock your socks off. A terrific burger, and a must try. 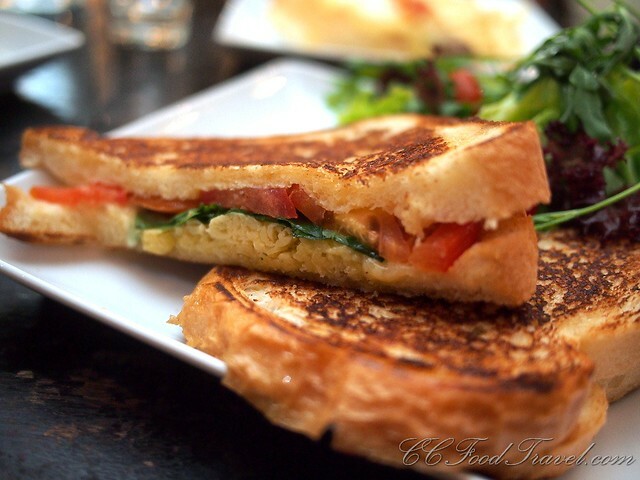 The Caprese Sandwich with sliced fresh buffalo mozzarella, tomatoes, basil and arugula is to die for. What can I tell you? The sandwich bread is soft and fluffy yet crispy where it has been toasted. The basil’s intoxicating aroma that mingles with the melting Mozzarella is just too good to be true. A simple yet devastatingly delicious sandwich, I would order this again and again. If you like hot dogs, you will like this one. 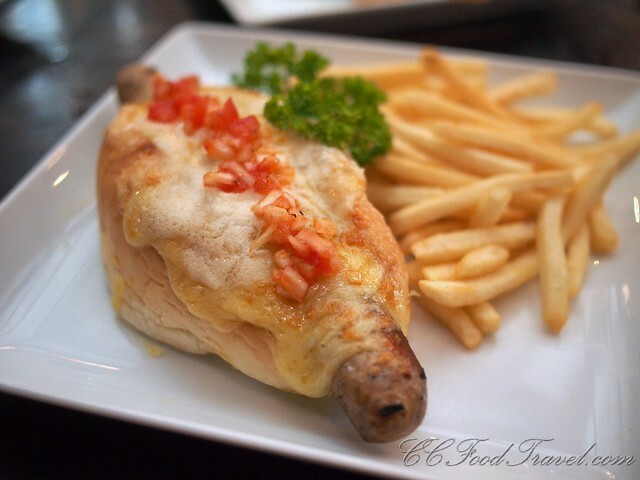 The added bonus is that, ‘the dog’ is no ordinary dog- it’s a hand minced, gourmet hotdog. That’s right – the Chef makes these hot dogs daily so they really are worth trying. The bun is super soft. Some say too soft but I like it. Tasty as hell – comfort food, so don’t fight it! This Peruvian classic is great for carbo and protein loading. The steak bits I like. Order it if you like your chips soggy and soaked in beef sauce. Incidentally the British love to eat their chips like that too. (not soaked in beef sauce, but in salt and vinegar). I could never get into it, soggy chips. Not even as a student. Since there was only the two of us, we got Chef Miguel to make a smaller portion of the Potato and Tuna Salad Causa for us – don’t go crazy looking and the portion to price ratio. The actual size is really a lot larger than this! 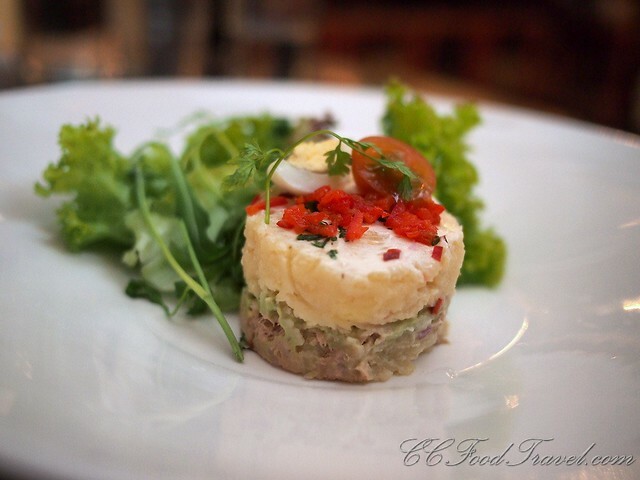 This tuna salad makes a great light starter. 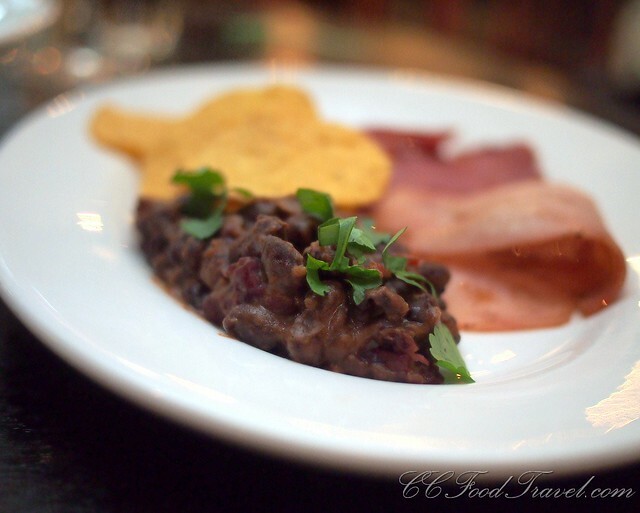 Ah black Brazilian beans.. what can I say.. either you love it or you hate it. I love it. I wished that the meats could have been pork but this place is pork free, so we had to deal with the beef bacon etc. The beans themselves were heavenly. Rich and creamy, I would eat these as often as I could stomach the farting aftermath. Just saying. Nachos should be only served one way, I reckon. MESSY. To me, I never think of Nachos as anything more than junk food. A kind of loose lasagna of crispy bits topped with meat and a salty, flavorful sauce. Ah, but then I learnt that if you made them right, with fresh homemade chips, decent ground meat and beans, a flourish of top notch quality chopped jalapenos and melted some premium cheese over it (that wasn’t a scary liquid orange! ), you would have something good on your plate. Oh trust me when I say, the Nachos hear are good. Superb in fact. I gained like 5 kilos after this meal. Seriously. 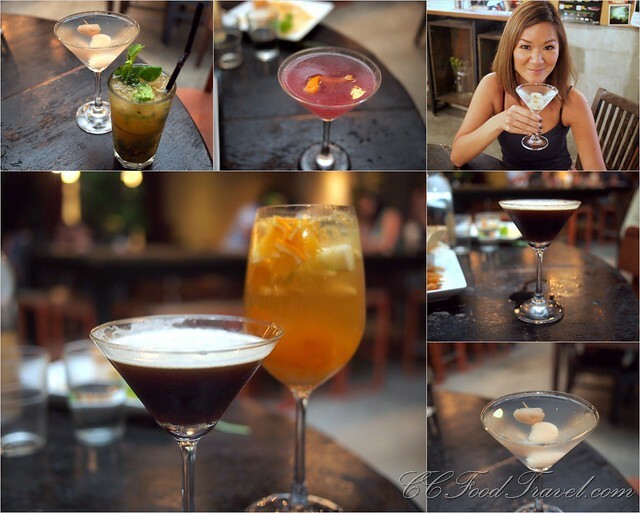 Another big culprit responsible for my weight gain – terrific cocktails! Oh well now, after all that, it’s pretty hard to resist going down to The Bee for some good affordable Tex-Mex, I think. Well you know where to find me! See you on Sunday at the BBQ! Next articleWin a Tropical Island Holiday! Pangkor Laut Resort, 3days 2nights holiday! I think I gained 5 pounds just looking at the beautiful pictures. I am off to Cikipedia to get some tips on how to shave off some of those pounds. This all looks amazing. 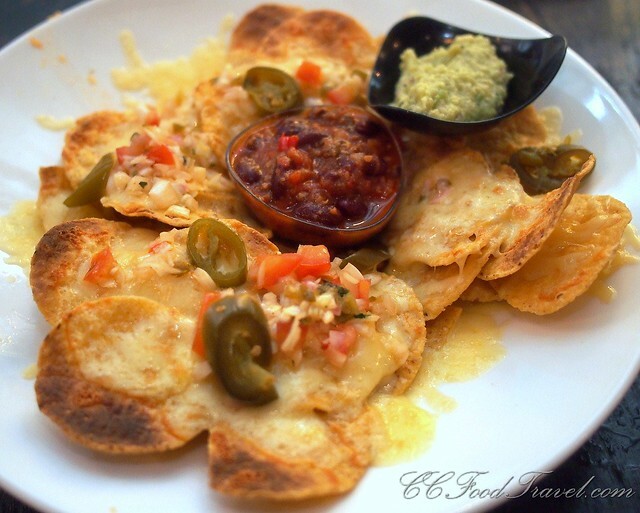 I’ve never seen nachos that look like that before – only the liquid orange variety. 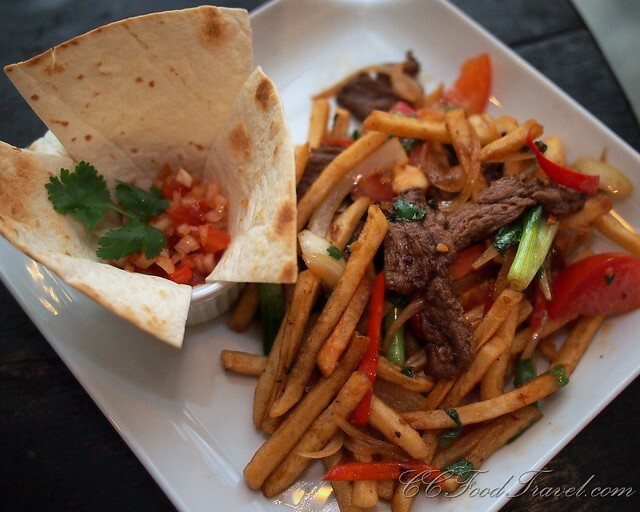 If the Lomo Saltado is a Peruvian classic, I think I’m gonna have to get up and go to Peru – that looks heavenly! Great photos – reading this before breakfast and you’ve really got my tummy rumbling! Hey Tom, thanks for your comment. If you’re heading to Peru, we would like to come too! LOL. Food is fab and we have not been to machu picchu so.., more reason to go! Food at The Bee is good. when are you in kl? I’ll be in KL again at some point next year – love the city! Can’t wait to get some more Malaysian food into my mouth.